This month the Community Foundation awarded more than $43,000 in grants to 16 nonprofits. The awards will assist with a wide range of charitable needs, from children’s education to senior care, from arts and culture to environmental programs. Seven local nonprofits received Community Enrichment Grants, which are grants given on a competitive basis to nonprofits that apply online for funds. The Children & Youth Partnership for Dare County received $5,000 to bring “Paperhand Puppets” to Dare County for performances and demonstrations in May at the Dowdy Park Opening in Nags Head and KidsFest in Manteo. Children at Play was awarded $4,380 for a new play exhibit of educational building blocks for the Outer Banks Children’s Museum. Roanoke Island Historical Association received $5,000 for audio upgrades for The Lost Colony production. First Colony Foundation was awarded $5,000 for a public symposium in Dare County in October about the archaeological evidence of the Lost Colony’s possible relocation to Site X in Bertie County. The Don & Catharine Bryan Cultural Series received $3,000 to provide 150 free tickets for students to attend the May performance of H.M.S. Pinafore by the NY Gilbert and Sullivan Players. Two organizations received capacity-building grants, which are Community Enrichment Grants designed to enhance the organizational effectiveness and sustainability of local nonprofits. Interfaith Community Outreach received $5,000 for computer technology and strategic planning, and GEM Adult Day Services received $2,987 for equipment for their new office. In addition to the application-based Community Enrichment Grants, awards were also granted from the Kelly Family Fund, the Community Foundation’s oldest and largest donor-advised fund. Donor-advised funds are managed on behalf of individuals and families, who recommend the grants that are awarded. This month the Kelly Family Fund gave $5,000 to the Outer Banks Hospital, $1,000 to the Dare Community Care Clinic, $500 to the North Banks Rotary, $1,450 to Outer Banks Sporting Events, $1,000 to the NC Aquarium Society, $3,000 to East Carolina University Education Foundation, $1,200 to Roanoke Island Historical Association, $2,500 to the NC Coastal Federation, and $2,000 to the Outer Banks Relief Foundation. 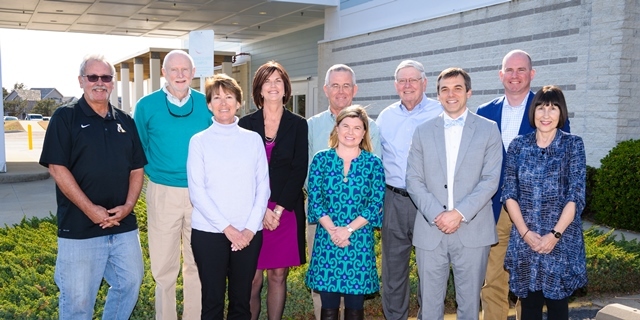 The Outer Banks Community Foundation is now accepting applications for Community Enrichment Grants, as well as the annual Pauline Wright, David Aycock Loy, Aviation Education, and Schiffman Grants. The Wright and Loy Grants are intended to help people in Dare and Currituck Counties with intellectual and developmental disabilities, while Schiffman Grants will support the protection, care, and rehabilitation of animals and wildlife. Proposals must be submitted online at www.obcf.org by Friday, April 28.